Small roasted whole potatoes, grilled courgette roundels, grilled Borettaine onions & whole cherry tomatoes. 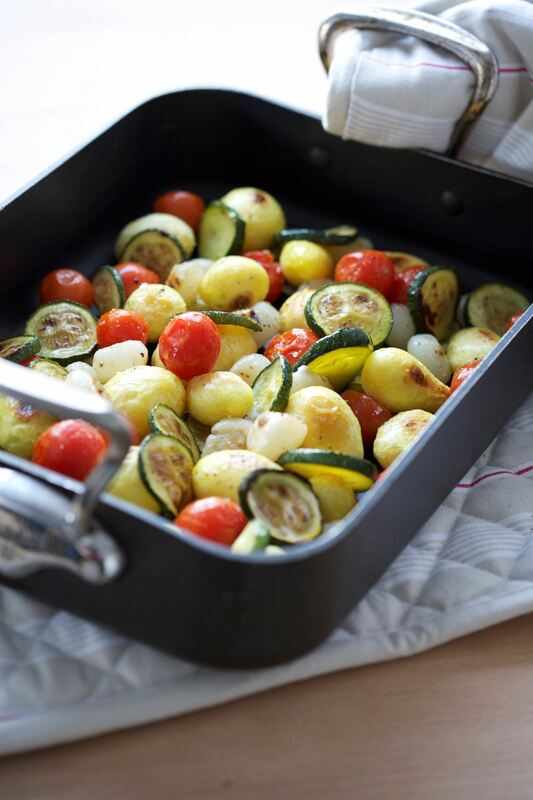 Quick and easy roasted vegetables - delicious roasted with garlic and herbs. A wonderful side dish to meat or fish. Spread the frozen vegetables on a shallow roasting tray, add crushed garlic, salt and drips of olive oil. Roast on the top shelf of a very hot oven for 8-12 minutes. Whole Baby Roasted Potatoes, Grilled Courgette Roundels, Grilled Borettaine Onions & Whole Cherry Tomatoes.